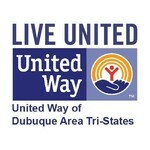 United Way of Dubuque Area Tri-States has been serving our community for 90 years, providing funding and other resources to our communities’ strongest nonprofit programs, impacting health, education and income for our most vulnerable population. United Way recognizes that no one organization can do this work alone—WE ARE STRONGER TOGETHER. 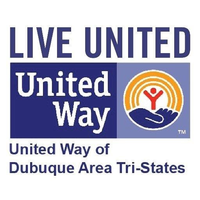 United Way of Dubuque Area Tri-States currently supports 36 local programs across a 10-county coverage area, impacting 43,246 lives through our network. United Way works with hundreds of volunteers each year, assuring every dollar invested in our community is used to support notable programs that have a direct impact on the people it serves. We encourage our community to join us in making a difference. Give. Advocate. Volunteer. To live better, we must LIVE UNITED.